How to Plot Histogram ? 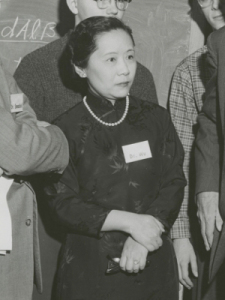 The great experimental physicist Chien-Shiung Wu in 1958. [Credit: Smithsonian Institution] In physics, it often seems that the theorists — the people thinking up new models and ideas to describe the natural world — get most of the glory. The Einsteins, Newtons, and Hawkings are generally better known than the people who do experiments. As a result, many of the great experimental physicists get overlooked even when we talk about important discoveries. However, without work in labs (and observatories), theories are no better than random thoughts; many theories have been ruled out by experiment, and forgotten as a result. Particle Fever is a gripping insider account of the world’s biggest, most expensive scientific experiment. But it’s also a real-life drama about understanding the universe, says director Mark Levinson. A natural: Monica Dunford, one of the Cern physicists who brings the search for the Higgs boson to life in Particle Fever. A new documentary, Particle Fever, achieves the almost impossible: it makes the workings of the Large Hadron Collider comprehensible – and exciting – to even the most science-phobic viewer. Mark Levinson, the film’s director, first visited Cern, home of the LHC on the Swiss-French border, in 2007 and kept going back until July 2012, when the crack team of physicists concluded a two-decade quest to find the Higgs boson. The Rev. John Cunningham is an associate professor at Loyola University Chicago. But, his background may surprise you. He is the chairperson and an associate professor in the Department of Physics. 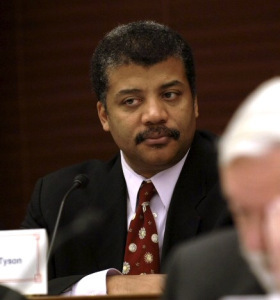 He has a long history in the fields of particle physics and astrophysics. Medill Reports interviewed him to learn more about his faith and his studies. Q: Tell me about your background. How did you get your start? A: In high school I was always very much interested in mathematics, so my history of my education in some ways started with the science first. I was interested in particle physics – quarks, leptons. Out here in Batavia, Ill. was this place called Fermi National Accelerator. My goal was really was to work at that facility. I think it came down to a picture I saw in a book about the accelerator. The first total eclipse of the moon since December 2011 will be visible in North America, just in time to greet last-minute tax filers in the United States. However, many Americans may not be in a good place to see the eclipse because of cloudy and rainy conditions. 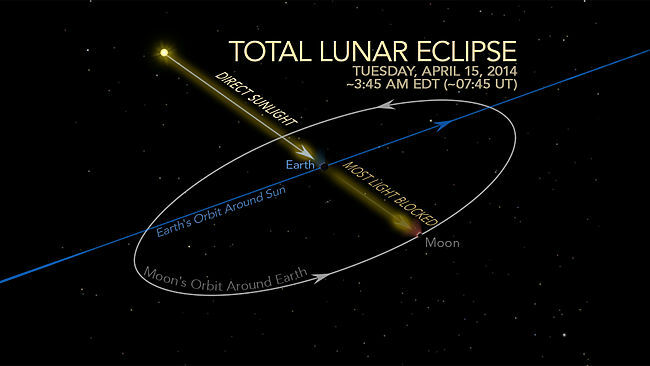 The total lunar eclipse, resulting from the Earth’s position between the moon and sun, will occur early Tuesday morning, EDT. The eclipse will begin at 12:53 a.m. EDT Tuesday. It will reach totality at 3:06 a.m. EDT and end at 4:24 a.m. EDT. Viewing conditions will be poor in the eastern United States, except for South Florida, AccuWeather.com Meteorologist Brian Edwards said.